GUARANTEED PROTECTION INSIDE AND OUT! Eliminate pests and their nests indoors. Eliminate pests and their nests outdoors. Create barriers to eliminate entry points. Leave protections against bugs that find their way inside. All of our home treatments are placed in safe out-of-the-way places. The weather won't affect them and your children and pets can't get to them. OUTDOORS: Roach & Ant Baits Placed around trees, mulch sites, firewood, plant beds and other breeding sites. Micro-Encapsulates Set in the soil and shrubbery next to your house. They protect breeding grounds and home access points. Clear-Drying Liquids Spread around doors, windows and other entry points. Outdoor exterminators Yard lawn pest control services INDOORS: Long Lasting Powders Installed in cracks and crevices, including your attic and other hollow, out-of-the-way places. Roach, Ant and Residual Baits Positioned under major appliances in your kitchen, garage and bathroom. Also placed behind key light switches, wall plates, drawers, cabinets and other hidden places inside your home. 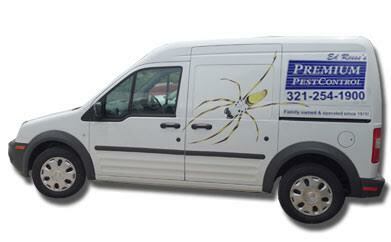 No Bug is safe When You Use Premium Pest Control's Once-A-Year Pest Control!